There are many types of diapers for ABDLs to enjoy, but sadly, access to those diapers is sometimes extremely limited by finances, overbearing parents, lack of transportation, or other mitigating factors. But, with a little ingenuity and some common, inexpensive materials, one can make something that will at least partially assuage the desire for a diaper. First, let's look at some of the materials that might be randomly lying about your residence or easily purchased at a store without too much parental inquiry. Garbage/Plastic bags/Plastic sheeting - Garbage bags or the plastic bags from practically any store can serve as the waterproof outer shell of a makeshift diaper. These are typically available in great quantity, and simply involve a little cutting and sealing. Plastic sheeting, as in the kind used for construction or covering windows, are also excellent options. 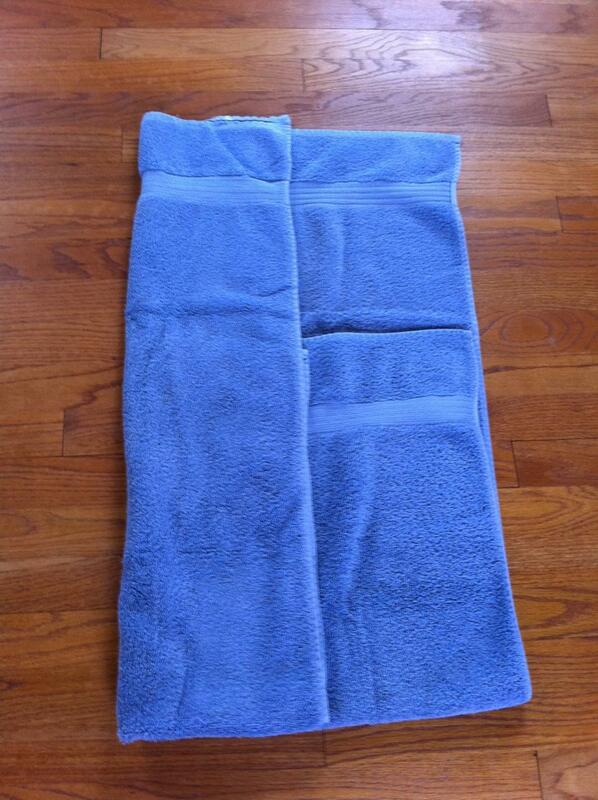 Towels - Every household has plenty of towels, ordinarily for those coming from the shower to dry themselves. However, because they are incredibly absorbent, they also work quite well for the absorptive portion of a diaper. Paper Towels or Toilet Paper - These are things that are ordinarily available in sufficient quantity that if some gets used it won't be missed. It takes a considerable quantity of any paper toweling product to get sufficient absorption for a diaper, so use these only if disposability is absolutely essential. Diaper Pins - Diaper pins will be necessary if making a cloth (towel-based) makeshift diaper. Ordinary safety pins will absolutely work for this purpose, although they might be a bit duller and harder to press through the material. Swiffer Pads - The refill pads for certain Swiffer brand cleaning products are dry pads, approximately 4 inches by 12 inches (10 x 30 cm), that contain SAP, the same absorbent material used in many diapers. These could be used for purposes of a makeshift diaper. Now that we've taken a look at some of the materials, we can move on to construction. A diaper is composed of two essential components, an absorbent core of some sort and a waterproof outer membrane. Cloth diapers have been around for eons and were the staple of diapering until disposables became prevalent in the late 1980s. As with any diaper, the principles of an absorbent core with a waterproof outer membrane are the standard. Cloth diapers are so named because the absorbent core is made up literally of fabric (cloth), rather than the petrochemical-engineered cores of disposables. The absorbent part of the diaper in a cloth makeshift is easy. Use some ordinary bath towels (the bigger, the better), preferably no less than two so there is an acceptable amount of absorbent material. More towels will directly translate to more capacity, but they will also translate to more washing to be done afterward, which should be remembered when grabbing materials. Once you've gathered them, lay the first down as a base. 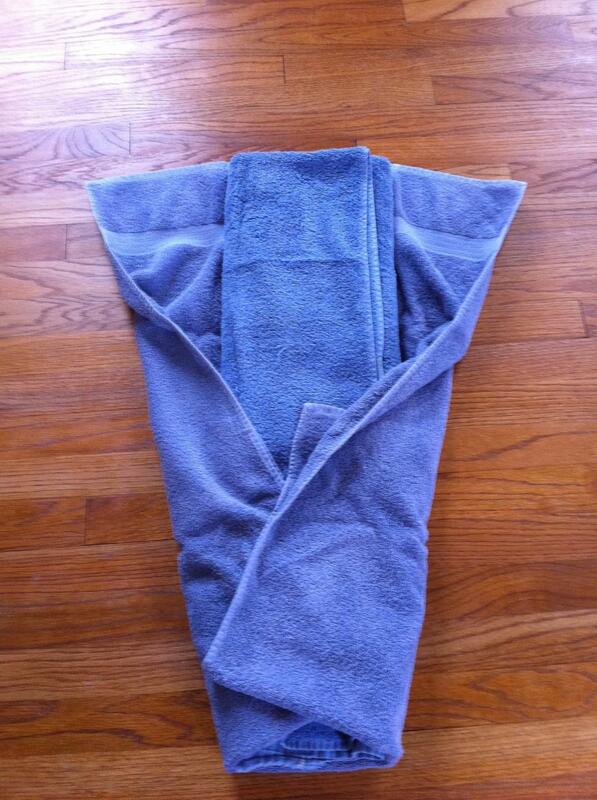 Because the towel will be too long, take one end and fold it partly over the rest of the towel, at a roughly one-third over two-thirds ratio. 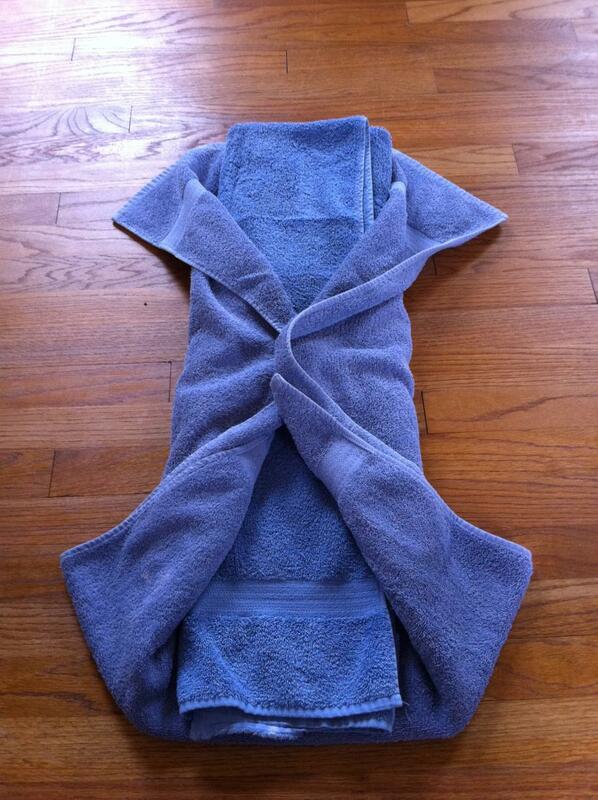 Once the first towel (base) is ready, spread out the second towel and fold it like the first. Then, you'll fold it twice more, but instead of reducing the length, you'll be reducing the width in order to make a soaker. 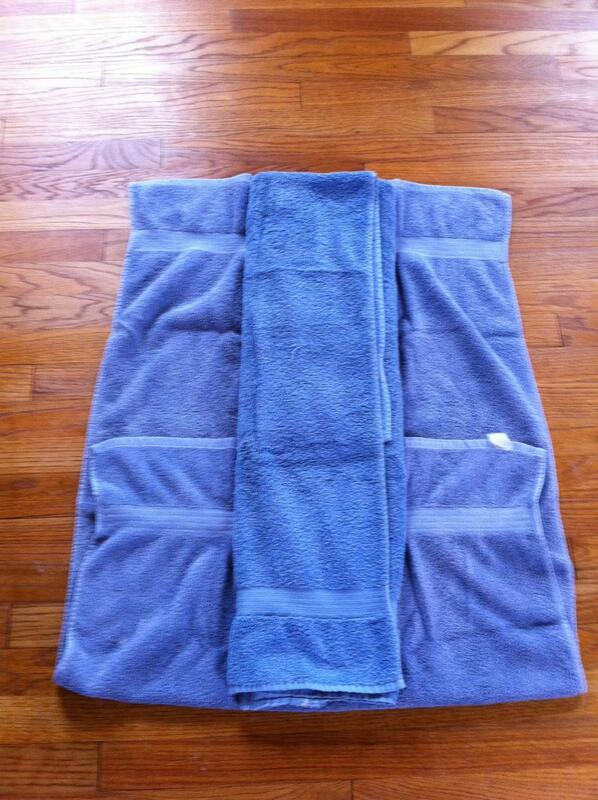 Fold the towel twice, once from either side, making the final width approximately one-third the original width. 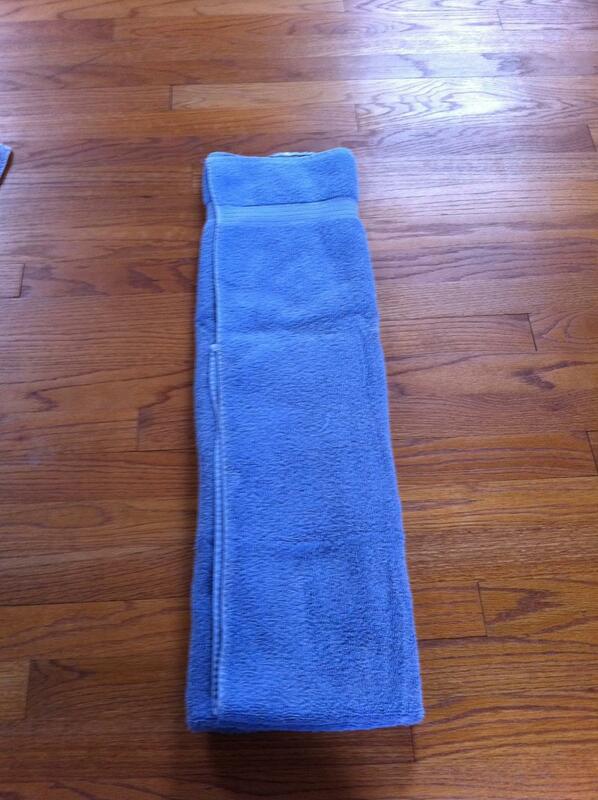 If you have any additional towels intended to become additional soakers, prepare them as you did the first soaker. 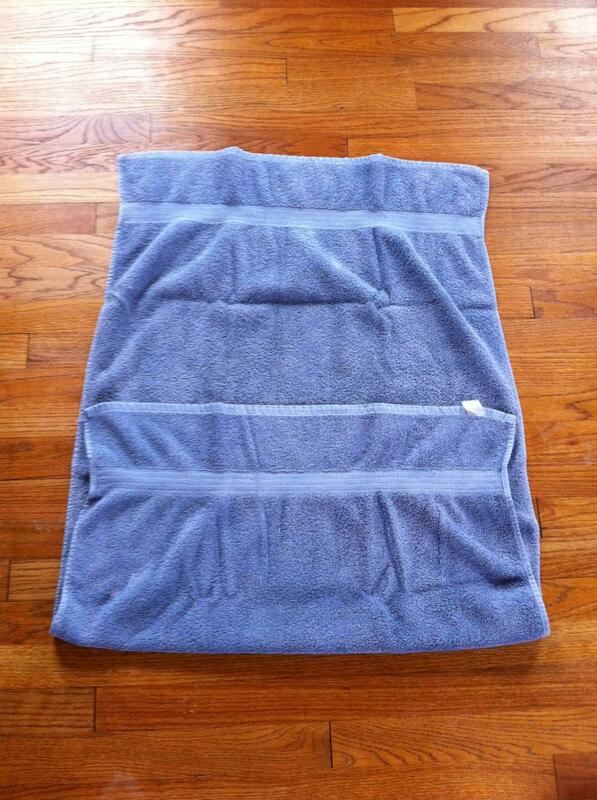 Once all soakers are prepared, lay them into the center of the base towel. The procedure for making a makeshift disposable diaper will be quite similar to the cloth diaper procedure, except of course for the material choices. The description here will be based on using paper towels, but the same directions will apply for other things (i.e. toilet paper), save for the quantities. Once folded into layers, one more fold is required. Fold the stack of paper towels in half, in the opposite direction of the perforations (which you were using for earlier folds). Once this final fold is done, the stack is ready to be put into underwear or a pair of makeshift plastic pants. 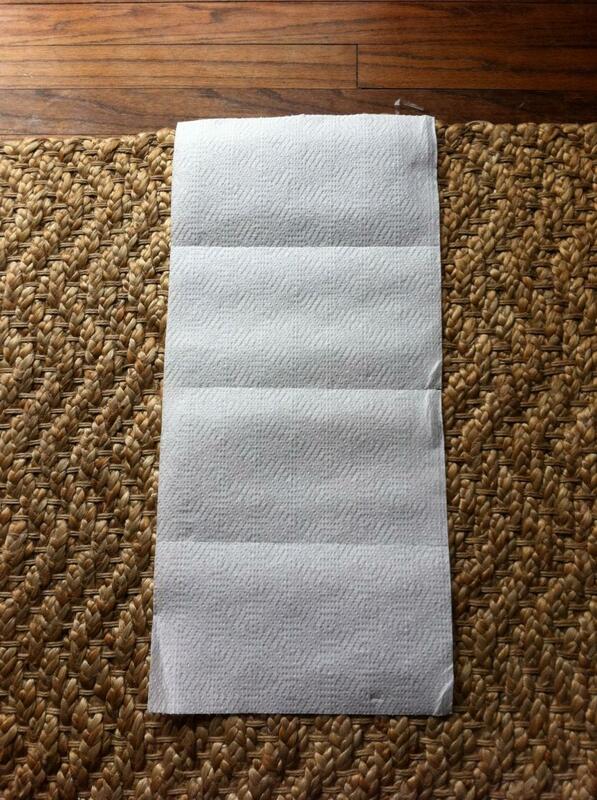 Although these directions focus on paper towels, toilet paper can easily be used in this role, as well. Simply gather a sufficient length of toilet paper, and fold it over itself into layers in approximately 16-24 inch/40-60cm lengths. 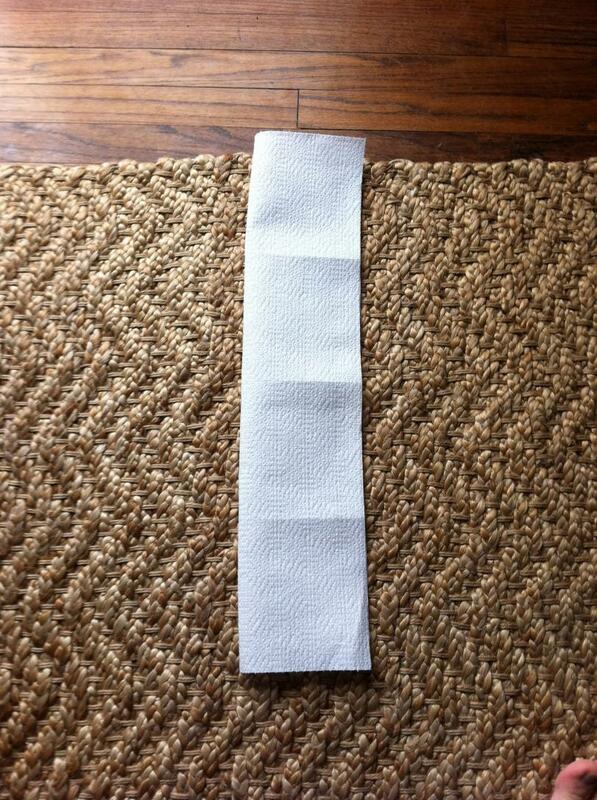 Because toilet paper is already narrow, there is no need for a second fold once layered. Alternatively, you can use the dry Swiffer brand refill pads that are made for some Swiffer products. These pads contain SAP, the same absorbent material of disposable diapers, and they are already a perfect size for use in a makeshift diaper. Several of them might be necessary for sufficient absorption. To layer them, use a knife or other sharp or bladed object to pierce the plastic backing on all but one of the pads, then stack them, leaving the pad with the intact plastic backing at the bottom of the stack (so the plastic is on the outside layer). Unless you plan to simply stand in the bathtub and cut loose, in order to cover whatever absorbent material you've chosen, you'll need a waterproof cover, and a makeshift pair of plastic pants is reasonably easy to make. First, you'll need plastic. Plastic sheeting, like used to cover windows and the like, is absolutely the best option here, but sadly, this is not something many households commonly have lying about, let alone in large quantities. 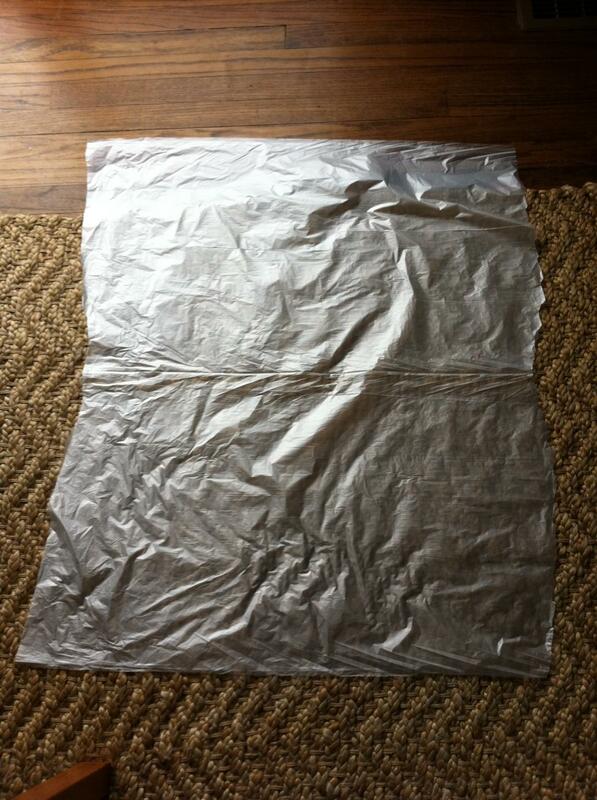 In lieu of plastic sheeting, a garbage bag is an excellent choice as well (If you're using a garbage bag, you can split the bottom and one side to get a larger piece of plastic.). Plastic grocery bags are not recommended unless no other options are present. A square of material approximately 36 x 36 inches (just shy of 1 meter by 1 meter) should work for many, but the width, length, or both can be altered if you are particularly small or large. Once you have the square, cut two semi-circles from two opposing sides. These will be the cut-outs for your legs. Freehanding the cuts is acceptable, but if you're unsure, you can use a dinner plate or something similar as a template. Once you have the two semi-circles cut, you now have a plastic cover that is ready to be taped on. Once you have made an absorbent core and a waterproof membrane, you are ready to put on your diaper. For securing the plastic pants, duct tape or a similarly strong tape is recommended, as thinner tape choices (like blue painter's tape) can rip quite easily under the stresses of walking and moving about. 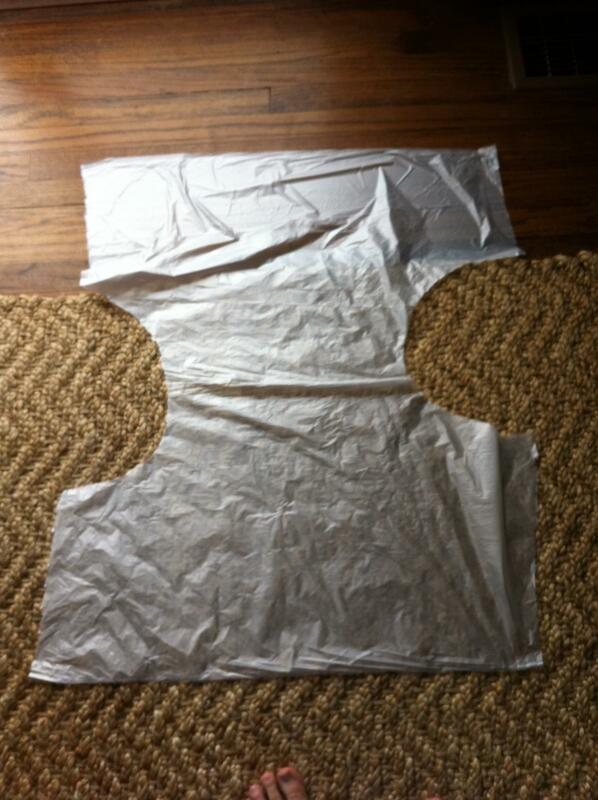 If you're using something disposable, lay that in the center of the cover before taping it on. If you're using a cloth diaper, pin the diaper on first. Using approximately six-inch/15 cm long pieces of tape, tape the cover on at the sides in the fashion of a diaper. Using at least two tapes per side is recommended, as that will allow for a better fit at both the legs and the waist. Because of the lack of elastic in these plastic pants, additional tape is recommended to bolster the seal at the waist and legs. There should be sufficient material at the leg openings to allow for a long piece of tape to be wrapped snugly around each leg. Another piece can also be snugly wrapped around the waist for additional sealing. As with any new project, it might take a couple of tries to get a result that truly suits your needs and desires, but once you understand the basic concepts, you can modify them as needed. As with a genuine diaper, the absorbent core is what does the work of holding what you release, and the plastic shell keeps that in place, so do be sure to use a sufficient amount of absorbent material. And of course, enjoy your handiwork!! Hmmmm... Might try that just for fun, and compare it to a real diaper. Can't wait to see the results. Towels and garbage bags work great. All my life I thought the grocery bag made a great outfit. Just cut the corners out and put legs through. When I outgrew that I just started laying it on my bed under a towel. Now I have true incontinence pads though so I sleep much safer. Another great idea is to use toilet paper as the core, two rolls works well. What I used to do is lie the roll on its side, and then rip vertically across the roll, 1cm thick at a time, until I reached the roll. This gives you rectangular, 1cm thick sheets of TP that can be layered and rearranged. I used to wrap this in a handtowel for better feel. Now I just use disposables. 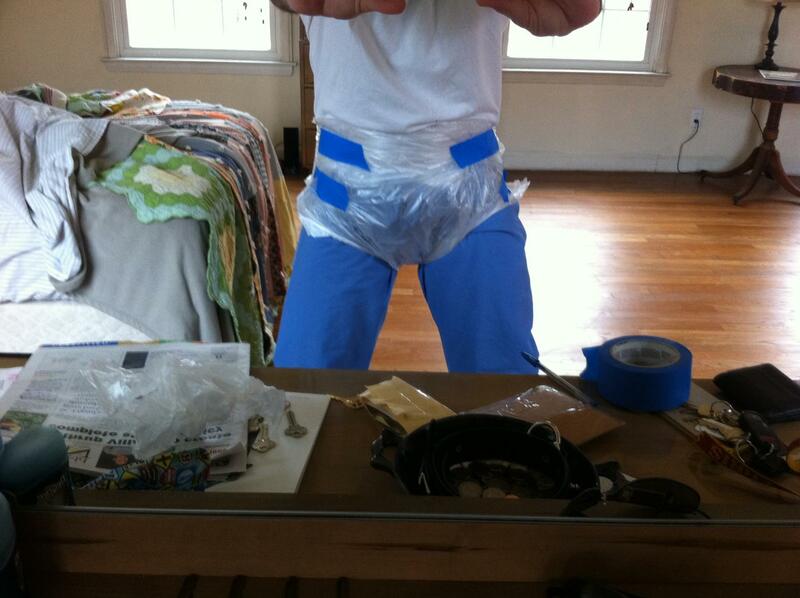 When I was a teenager, my diapers were improvised ones similar to this. Only thing I would add if I had the supplies, was elastic leg gathers. I would make that by stringing a few rubber bands together and taping them, stretched out, along the inner edge, then folding over the edge and taping the band inside. Yes, a long time back. The short sleeves are natural tabs but that's where the utility ends. There's no capacity if you intend to use it, so you'd need layers or stuffers of some kind. have to say that I feel a bit sorry for people having to go for make shift diapers, they have my sympathies.